The automotive industry was the most disrupted sector in 2017, as the number of disruption events leapt by 30% from just over 1,300 in 2016 to nearly 1,700, according to recent analysis carried out by JLT and Resilinc, the supply chain analytics and resiliency company. The core problem is that the global automotive sector is dependent upon a highly complex and global supply chain system that is relied upon to deliver thousands of parts per vehicle. Disruption to the delivery of just one obscure element of these parts has the potential to halt entire production lines. JLT points out that, based on the research carried out by Resilinc, it is clear that measures to create transparency often focus predominantly on tier one suppliers and even then, many unknowns remain. Resilinc’s analysis found that some 75% of companies surveyed have no visibility of tier two and beyond – a serious cause for concern, given that sub-tier suppliers are at just as much risk, if not perhaps even more so. This matters because disruption risks must not only be identified but also evaluated in terms of importance before they can be effectively mitigated. So, what about insurance? Is this a risk that can also be cost-effectively transferred? Or is it just too complex and difficult to identify and quantify? The JLT analysis found that, perhaps not surprisingly, about half of all organisations in the auto sector are not insured against supply chain risk at all. This matches analysis carried out by the Business Continuity Institute across all sectors. The bottom line is that covering every risk, everywhere, is just not practical and prioritising what to cover can be “immensely challenging”, concludes JLT. But that does not mean that insurance is irrelevant in this area, and should not be looked at carefully. Companies in the auto sector do have existing cover for elements of their supply chain risk and bespoke solutions are available. JLT argues that given the huge scale of exposure the industry faces, it is more important than ever to seek policies that cover the most business critical areas and, at the same time, avoid duplications and gaps. This is why JLT has partnered with Resilinc, because it enables the broker to add cutting-edge supply chain analytics into its insurance solution. All of this leads to the inevitable conclusion that all parties in the chain – risk managers, brokers, insurers and support professionals – need to work more closely together to more effectively identify, measure, mitigate, manage and transfer this critical risk. The first and most obvious question to ask the risk managers at the roundtable was: why does this sector appear to so vulnerable to supply chain disruption and failure compared with other sectors? Klaus Braukmann, managing director of Conti Versicherungsdienst, the insurance management arm of Continental, said it is all about the scale and complexity of the business. “We have five divisions [including] three automotive and electronics divisions, involving a network of some 17,000 suppliers that provide about 140 billion components a year. This says it all really. We are extremely linked in to each other in the auto industry and because of the rise of just-in-time (JIT) and just-in-frequency production, any interruption in the supply chain is a real problem and can of course impact the balance sheet,” explained Mr Braukmann. Modern vehicles are also much more complicated than they were just 20 years ago. As well as the rise of JIT production, there has, of course, also been the rise of the truly global economy and dissemination of supply to all four corners of the globe. All this has happened remarkably quickly and poses big challenges for the logistics, risk and insurance management community in this sector, pointed out Mr Braukmann. “For certain industries such as the auto sector, I think you can clearly argue that the challenge has intensified in the last ten years. There was a recent case in Switzerland where the manufacturer of brake systems for all tier one suppliers worldwide was flooded and under four metres of water. Divers had to retrieve the machinery to rebuild it because it was so rare. The same thing happened in May this year when an explosion and fire disrupted production at a critical supplier of magnesium die-cast vehicle components to Ford, GM, Fiat, BMW and Mercedes in the US,” he said. Pia Weiss, head of corporate insurance management at ABB, the Swedish-Swiss multinational corporation that operates mainly in robotics, power and heavy electrical equipment, stressed the significance of the way in which all supply chains are managed nowadays, not just in the auto sector. “It has to be recognised that there has been a major change in the way that supply chains are organised over the last 20 years. Whereas historically a company would have relied upon only one supplier or two maximum, now there are multiple levels of suppliers down to the second, third and fourth tier. At the same time, the supply chain has globalised, which obviously adds further vulnerabilities,” she pointed out. Michael Seidl, insurance manager at German automotive component supplier Dräxlmaier Group, said the availability of information about suppliers and their suppliers is clearly a big challenge when trying to identify and measure supply chain risk. “Our perception is that 60%-70% of sub suppliers (a supplier that provides goods or services to another supplier) are required by the customer and there is no chance that they will be named by the OEM [original equipment manufacturer]. My eye-opener was the fire at the Evonik plant in Germany back in March 2012. Nobody realised it was going to lead to a serious problem for the auto sector worldwide because nobody was aware that this very old factory was supplying something like a half of the world’s supply of a chemical (CDT) that is needed to produce a resin called PA 12, an essential part of braking and the fuel systems of cars. The entire auto industry really sat up and took this seriously when global production was threatened,” explained Mr Seidl. “After that, people really started to think about where their critical components were produced. Before that nobody really thought about it that deeply. They then realised that they needed to dig much, much deeper. The problem is that if a sub-supplier is decided upon by an OEM, they are unlikely to provide information if he knows that nobody can replace him. This means that it is actually often very difficult to find out where the supplies are sourced, where they actually come from and how they get from one factory to another,” he added. Mr Seidl also pointed out that cost is a big factor in the process. Companies in the auto sector run lean production and distribution systems, because the global market is so competitive and margins are always under pressure. This forces companies to make cost-based decisions that carry inherent risks. “Another point to make is that sometimes the risk is higher than you would like because of the need for cost efficiencies. Your company may well decide to locate its key factory in an emerging country that seems to be very stable at the time but, over time, becomes pretty unstable with civil unrest and probably high natural catastrophe exposure too. Clearly this could lead to serious supply chain challenges in future, but the reality is that this will be the best cost option. These are the realities,” said Mr Seidl. Matthew Grimwade of JLT agreed with the German risk manager, but pointed out that this risk is certainly not unique to the auto sector. Mr Braukmann said the answer is relatively simple to identify but not so simple to solve. “Basic economics are one explanation,” he said. “The cost of a car is perhaps double what is was 20 years ago, but the value within the car is double-digit higher over the same period. People expect the latest technology and design, but are used to not having to pay for it. This means that the auto companies need to use first-class technology but low-cost production sites and/or automate everything. If you looked at German factories 20 years ago, much of it was manual assembly. You don’t see this anymore. You see managers and software experts, but no workforce, because labour-intensive parts are made elsewhere. This is the only way to deliver the latest technology at the minimal price to the customer,” Mr Braukmann added. Mr Seidl said the complexity is further compounded by ever higher safety features and standards, as well as the fact that vehicles are increasingly customised to individual requirements, which just adds to the supply chain stress. “Also think about the number of safety components and software in a car nowadays – it has increased 100 times. Twenty years ago, the only safety components were safety belts and brakes! Nowadays, customers expect the latest safety elements as standard. Also of course, customers expect 24/7 service and customised vehicles. All of this has to be delivered on a 24/7 basis, which places the supply chain under stress unless [it is] very well managed. The fact is that one hour of stoppage equates to $1m of loss and of course the contract says that if the supplier does not produce, then it pays!” he said. Ms Weiss added that the electronics industry faces much the same situation, but pointed out that the impact is not as high for that sector because the value of the end product is so much lower. One fundamental challenge for the risk and supply chain manager is the demand in all industries for minimal stock levels or inventory, to save costs. “Another complication here is that no one wants stock or storage facilities anymore, whether on the road or in an aircraft,” noted Mr Seidl. “Nobody really wants to own their own facilities because no one pays you for holding stock,” he added. Arie Wouters, risk and insurance manager at NXP, the Dutch global semiconductor manufacturer, agreed that stock is a challenge. “Part of the management decision will always be to minimise storage. A higher level of stock will clearly always help to a degree, but it is not the complete answer. A core part of supply chain management is to make sure that you are able to continue to supply at times of difficulty,” he said. 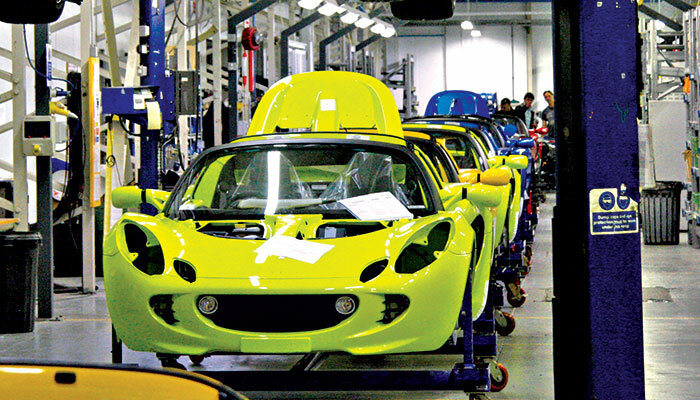 This challenge is compounded for the auto sector by the very size of the parts needed in the manufacturing process. Dogu Ozden, director of financial planning and controlling at Tofas, the Turkish automaker jointly owned by Fiat Chrysler and KoÁ Holding, added that the regulatory environment does not help. “This is a complex product that is mass produced and of course there are high regulatory and safety standards that you have to adhere to. Regulation is another complicating factor,” added Mr Ozden, who is also president of Turkish risk management association ERMA. This discussion about supply chain challenges facing the automotive sector, among risk managers directly and indirectly involved in the sector, delivered one inevitable conclusion: this is indeed a very big challenge. For economic and regulatory reasons, the sector has evolved and come to rely on a highly complex, global and diverse supply chain that is very difficult to map, measure and manage. Risk managers do not own this risk, but they do have internal expertise and support from specialist advisers such as JLT and Resilinc to help their supply chain colleagues to make a concerted effort to improve the way this risk is managed and mitigated.